It looks so easy on the DIY programs, but I battle to insert screws using my drill. The screwdriver bit keeps slipping out, and it damages the screw head. Is there a neat trick for this? Should I set the drill's speed to low / high? Short bursts or steady power? Keep the bit inline with the screw's direction of penetration. Most times I see newbies struggle with that. If the drill/chuck is cocked in relation to the axis of the screw, it creates all kinds of trouble. Firmly push inward, not letting the bit slip back out of the screwhead. Bits are consumable. They don't last forever. Are you trying to use a bit that's too worn? Once a bit has slipped badly even a few times, it's probably toast. Slower, steady power is your general best bet, the only exception being when you need a BURST of torque, whereby you time your pushing/pressure effort with a burst of speed on the drill. But that's seldom needed, and you'd still use the low range. 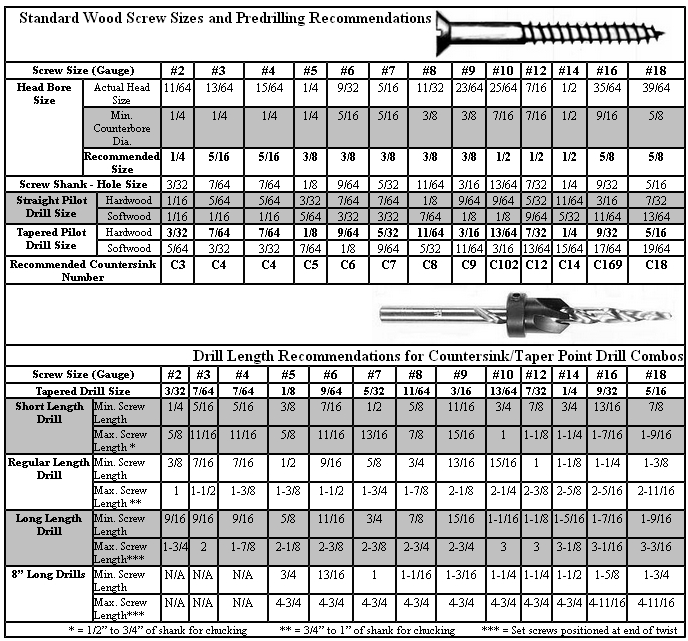 Flat-head / slotted screws come in many sizes. Having a correctly-fitting bit helps a lot. Too narrow or too thin and you'll damage the head. Too wide and you'll damage the work. Too thick and it won't fit. Fingernails, coins, and knives are non-optimal. Make sure your bit is properly aligned in the the slot. Keep the drill directly in line with the screw. Phillip's head screws are actually designed to "cam out". That is, when the screw stops turning easily, the bit is pushed up and out of the screw head. 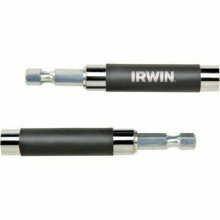 This is to prevent you from over-torquing the screw and damaging the work, screw, or bit. Unlike flat-head are discrete, #2 being the most common. Make sure you have a correct size. Keep the drill directly in line with the screw. Pressure on the drill is necessary to keep the bit in place. When the angle makes it difficult to apply pressure, set the clutch low and don't work too hard. When the clutch slips, turn the clutch up and apply more pressure to finish the work. Torx, internal hex, and external hex are all easy to drive without much pressure and without cam-out. They also continue to work well if they get dirty or are painted over. I'm a big fan. Square, aka Robertson is easier to work with than Phillip's, but not as nice as Torx & hex heads. Good-quality fasteners are worth it. 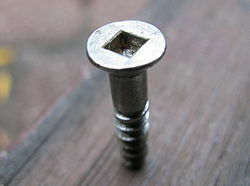 Cheap screws are more likely to break or round out the head. If a driver bit slips out and damages the screw head, then you'll have a harder time finishing the work or removing the damaged screw. More torque means more damage if it slips, so be careful if you turn up the clutch. As soon as a screw is damaged happens, if you pull the screw out before it gets worse and replace it, you'll be better off than if you keep driving the bad screw. An impact drill/driver makes driving screws much easier. The work turns to butter. They're also loud, a bit expensive, and can destroy your work if you're not careful. Driving slowly lets you keep control and reduces damage when the bit slips. Predrilling in metal / pilot holes in wood make it easier on your muscles, reduce screw breakage, reduce wood splitting, and don't reduce strength. I've heard that it may actually increase strength, but I don't know for sure. I pick a drill the size of the screw shaft. Soap can help lubricate screws in to wood, making it easier and reducing screw breakage. Get a screwdriver with a built in guide for holding the screw in place. These can be helpful. They are typically magnetic, so they hold the screw in place. They also have a sliding sheath, so it will hold the screw in place until you have completely driven the screw. You should set the speed to low, and use steady power. They sell cordless drills that have three essential features for this. A really low speed setting. A clutch. Whenever the screw is all the way in, it stops turning the drill. Light weight; if you can't easily hold it in place, it's not going to work. A Robertson head bit is designed to reduce cam out. If you're having trouble with just a few screws on something you want to look nice, you can always drill a pilot hole. This way you're just fighting the torque on the threads, rather than the torque required to displace wood around the shank and drive the threads. My experience is to use Phillips heads, very low RPMs and a lot of pressure straight on the axis of the screw. A clutch is a very good thing to have when the screw hits the bottom but it has nothing to do with starting the screw. A hammer drill, hammering or not, is going to be a poor choice for driving. They're designed for heavy drilling, and have a LOT of torque which can actually hurt your ability to keep the bit in the screw head and not strip it. However, if the drill has a variable torque clutch and a speed selector, it may do the trick. Go slow. The pros on TV get several takes, and they've driven tens of thousands of screws in their career. Go extremely slow when driving brass screws; this metal is much softer than steel alloys and so will strip very easily. Consider a pilot hole for stubborn screws, and be sure to choose the right size driving bit; driving a #2 Phillips screw with a #1 Phillips head is recipe for failure. When you first start, keep your non-dominant hand on the surface and drill chuck. Don't grip the screw or chuck, they need to spin freely, just keep your hand there to guide things. This gives you control so you don't tip the screw over and jam the tip of your bit into the wall. This also helps when you have an issue, you just pull the drill away and the screw falls into your hand. Once you need to start adding more torque, you'll want to move this hand to the back side of the drill to push hard. But realize that if you don't follow other's advice and keep the drill lined up, this will push the drill off of the screw. Your hand to bit and the screw should all be perfectly lined up. The magnetic bit guides are perfect for detecting an axis issue. If the bit starts to slip, STOP! I've seen way too many people that try to go faster when the bit slips, and all that does is destroy both the bit and the screw. Instead, get the bit reseated all the way in the screw and start again, slowly. If you're installing a lot of screws and have a hard time with slipping, get an impact drill. They tend to be small, and rather than torquing the screw in which is when the bit skips, they use the power of lots of small impacts, just as the auto repair shop uses on bolts. They make screwing extremely easy, but they can't be used for other purposes, like drilling holes. According to a recent issue of Fine Woodworking, impact drivers are magnificent for driving screws into wood -- the bit rarely "cams out" of the screw, and the screw "just seems to melt into the wood". The major downside of impact drivers is that they are much noisier than an ordinary drill or driver; hearing protection is highly recommended and your family and neighbors may complain if you use it late at night. Combination kits of cordless drill and impact driver plus two batteries and a charger are fairly widely available and pretty decently priced; FW points out that this lets you leave each tool set up for its purpose rather than having to change bits so often. One of the things on my gifts-to-myself list this year. Okay, I second the magnetic bit holder with sliding sleeve. I recently did a bunch of home improvement stuff on a 1950's house and probably 50% of the screws are flat head ones. Besides getting the best fitting bit (which are harder to find as they are fairly uncommon for new construction as they are a pain to drive with a drill) but you can usually get them in with a bunch of other bits in a multipack or with a hand driver kit. Anyway the sliding sleeve works great to keep the bit from flying off the screw when you floor the trigger of your favorite drill. I usually hold the sleeve down against the work as the drill unscrews the screw, this helps to hold the drill steady as well. Impact drivers are great if you don't require finesse. 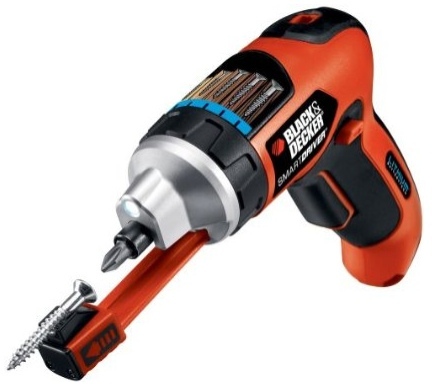 They work just like an air impact with a battery, you can't feel the amount of torque (twisting motion) they are applying to the screw though so it's easier to over torqure or break screws. They are very handy for taking things apart, like small engines and the like that may have rusted or loctited screws and bolts (with the right bits and adapters for sockets). Corded drills are great for drilling holes and doing things that require lots of torque or speed for long periods of time. Problem with driving screws is corded drills usually do not have brakes so when you let off the trigger the drill keeps turning as it slows down which could result in an over driven screw or broken screw, this can be prevented with practice by slowing down the drill the closer the screw is to the work. I have a older 36 volt dewalt cordless drill that still isn't quite as powerful as a heavy duty 850 rpm corded drill for boring large holes in wood or steel. I also have another corded dewalt that spins at about 2500 rpm that I use with 6" buffing wheels for polishing exhausts or with the headlight restore kits to polish them up. It is superior because of the speed and the time spent running and extension cord is more than made up for because of the lack of needing to switch batteries. Some polishing jobs I've done take hours of wide open heavy use with that drill, I'd have to switch batteries many many times and I'd rather use a $60 drill than the well over $100 I've spent on a single battery drill, as well as the fact that the corded doesn't have a brake and the battery ones do so every time I let off the trigger a battery one would stop and work the nut loose that holds the polishing wheels on the arbor. Screws themselves, I ALWAYS will search out the torx headed ones vs EVERY other single screwhead style. Torx was designed to handle ... torque!! It doesn't cam out which is especially helpful when screwing in long screws, unless you have an impact driver as that might help with the impacts vs steady torque of a drill when screwing. I was once helping my dad and the only screws we could find that were over 4" had robertson heads so we had to use them but to install with a drill I had to brace myself against another object to keep them from camming out constantly. Torx wouldn't have been a problem at all. Another thing no one has mentioned about torx is they have 6 lobes and thus if you are misaligned you only need to rotate your bit or the screw 59 degrees at most to get it aligned vs all the others are 89 degrees and flat heads can be up to 179 degrees. Makes it quicker to get the bit on the screw. The folks who say that the sleeved bit drivers are for newbs are silly, I usually hold the sleeve to stabilize the end of the drill as I'm screwing as well as if you're holding up the object with one hand then it will hold the screw on the bit so you can get it started with one hand, this is especially helpful with longer screws that would fall off with just the magnet. And not to mention that stainless steel screws usually aren't magnetic anyway. If you have problems getting a screw started in the right spot then invest in an automatic center punch to make a dimple in the wood so it's easier to get the screw in the right place when your hands are full. Also it is very essential when drilling metal as bits tend to walk around very easily. And they are only about $14 at Home depot in the precision instrument area. I drove a ton of screws with a cordless drill. It takes a lot of pressure with philips head, though other heads can help. It requires less pressure, because the bit is much less likely to rotate out during the short impact. It's easier to control how deep the screw goes in, since it isn't turning that fast in impact mode. It has a lot more torque. An average 12V drill puts out about 200 in-lbs of torque, while a similar 12V impact driver puts out at least 800 in-lbs of torque. This will drive screws into most wood, and you can also use it to drive some lag screws. You do have to be a bit careful at the higher torques; I've snapped both screws and bits with mine. You can get drill bits that fit into them. I use mine far more than my cordless drill. I do have some experience drilling screws as that's about all I use for fasteners; I don't use nails. You don't need torque adjusters, speed dials and all that other mumbo-jumbo. I do use a magnetic bit holder if I'm one-handing it. Before I discovered this, I used to strip heads and wreck bits, but now I use the same bit for a long time and don't think I've wrecked any screw heads since. The trick is to press hard and go slow using the variable speed and get a feel for it. I also use #2 Robertson coarse zinc plated deck screws for most building projects. Not the answer you're looking for? Browse other questions tagged screws drill or ask your own question.